South Carolina Gets 2017 Commitments From 3-Star Prospects Shawn Smith and Kyshaun Bryan On Saturday. Shawn Smith. Image via USA Today. 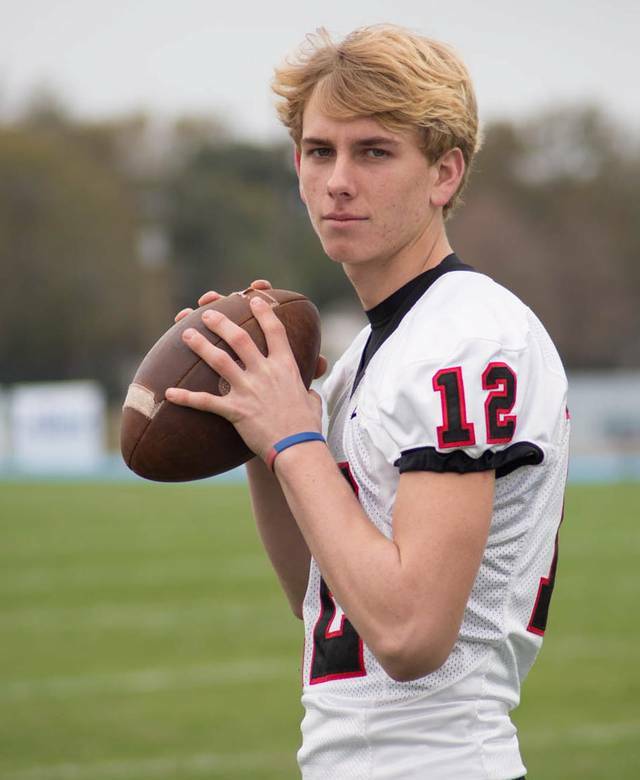 South Carolina added two prospects to its 2017 recruiting class. Brunswick, Ga. high school junior wide receiver/athlete Shawn Smith and Fort Lauderdale, Fl. high school junior running back Kyshaun Bryan committed to the Gamecocks on Saturday. Michigan St. 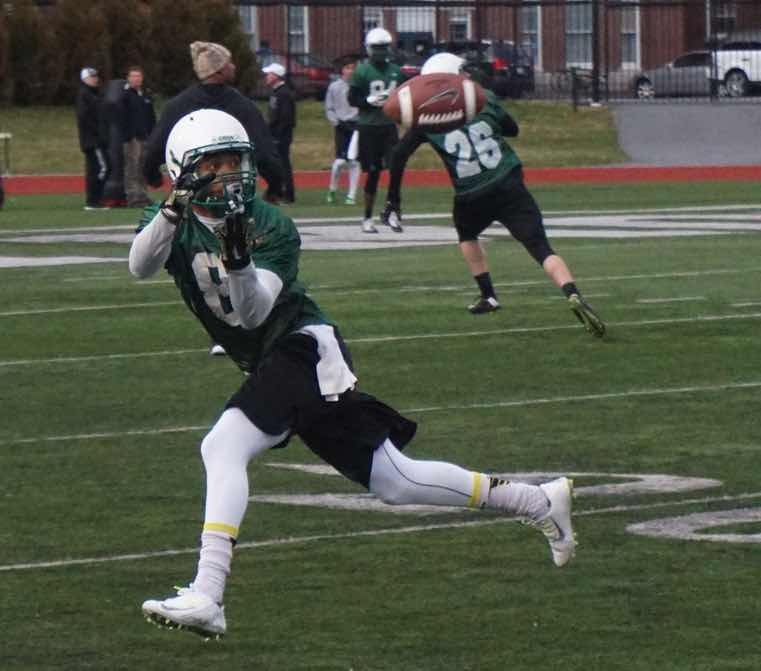 Adds 3-Star RB Prospect Weston Bridges To Its 2016 Recruiting Class. Weston Bridges. Image via todays.com. Michigan State has added an eighth prospect to its 2017 recruiting class. Akron, Ohio high school junior running back Weston Bridges committed to the Spartans on Wednesday. 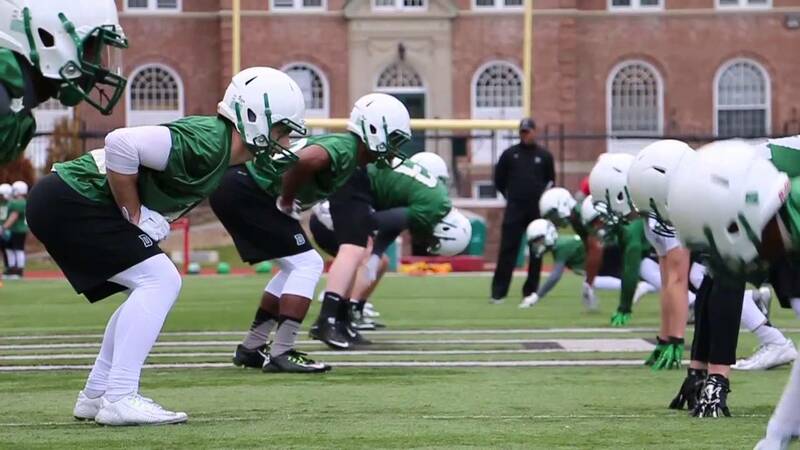 Dartmouth Releases Week 2 Spring Practice Hype Video. 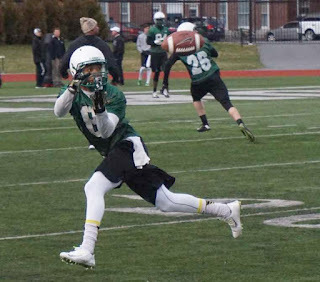 Reigning Ivy League champion Dartmouth released a new hype video with footage of week two of spring practice. John Ourland of SportsBusiness Daily is reporting that ESPN mainstay Mike Tirico is reportedly bolting ship in Bristol and headed for NBC. Several "unnamed sources" are used in the report. Video: Duke's Marshall Plumlee Salutes Family, Fellow Players And Coaches In Emotion-Filled Speech. 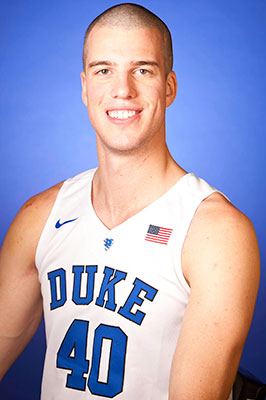 Marshall Plumlee. Image via goduke.com. Duke senior center Marshall Plumlee spoke at the men's basketball team's banquet on Saturday night. It was an emotionally charged speech, where he honored fellow teammates and coaches, and noted how it was the end of an eight-year era where either he or brothers Miles and Mason were members of the team. 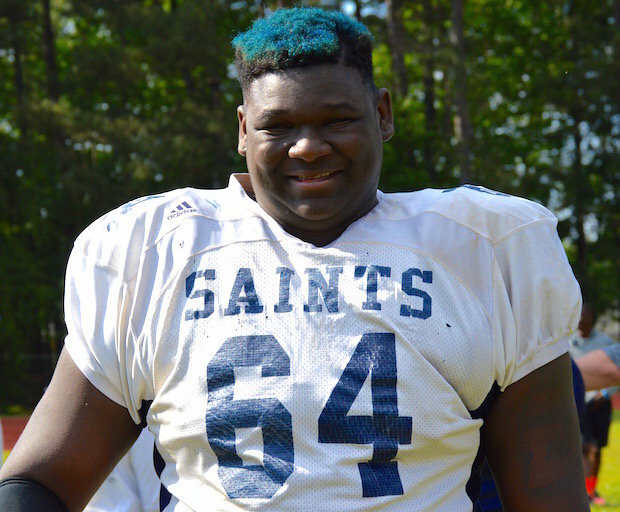 Tennessee Adds 4-Star DT Prospect Eric Crosby To Its 2017 Recruiting Class. Eric Crosby. Image via scout.com. Tennessee has added a seventh commitment to its 2017 recruiting class. 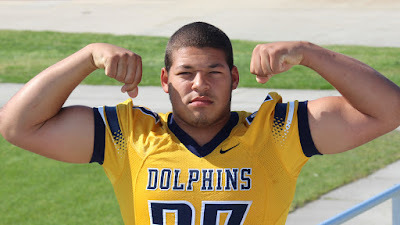 Virginia Beach, Va. high school junior defensive tackle Eric Crosby committed to the Volunteers on Friday. Long rough day, with the announcements of the deaths of Prince and Chyna, and some personal things coming up. Be back tomorrow. 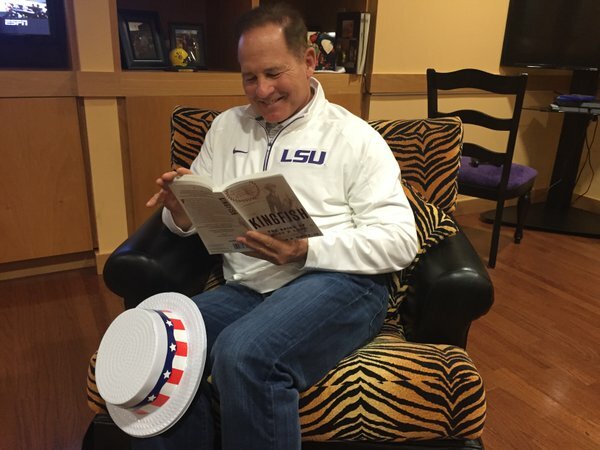 Les Miles Reading A Book? Les Miles Reading A Book. With LSU's spring practice wrapped up, LSU head coach Les Miles can take some time to relax. He's apparently using the free time to catch up on a good book. 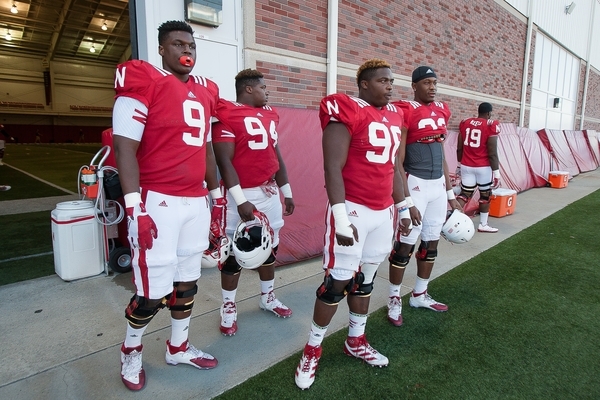 Nebraska Releases Hype Video Profiling Its "Blackshirt" Defense. Spring Practice hype video time. This time, it comes from Nebraska, which released a video focusing on its legendary "Blackshirts" defense. 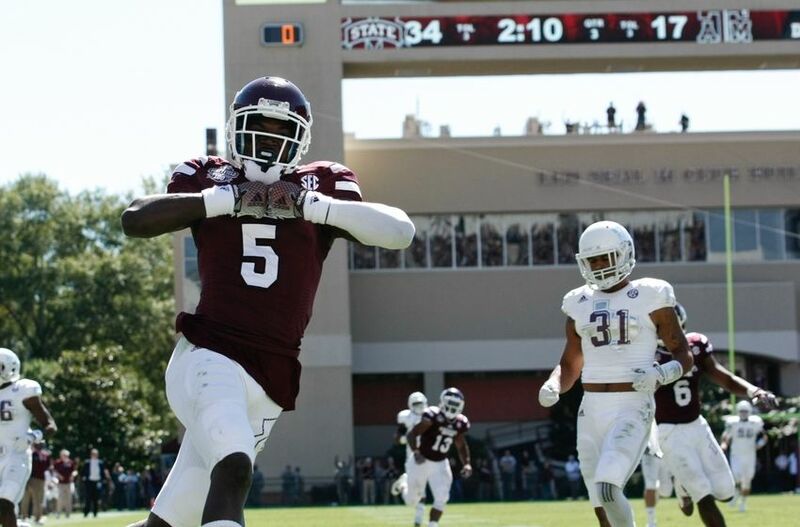 South Carolina Celebrates History In New Hype Video. From the "You glorify the past when the future dries up" department, comes this South Carolina video celebrating it's over 120-year history of college football. 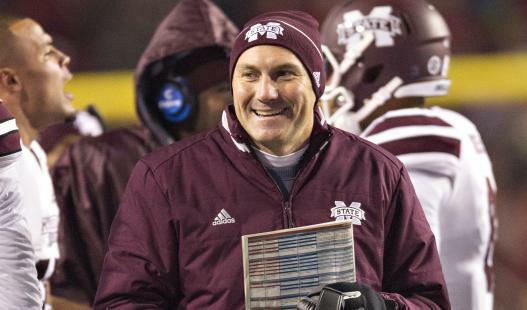 Mississippi St. Head Coach Dan Mullen Defends New NCAA Satellite Camp Ban. 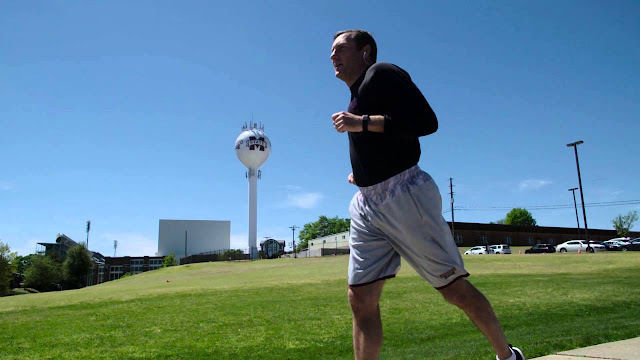 Dan Mullen. 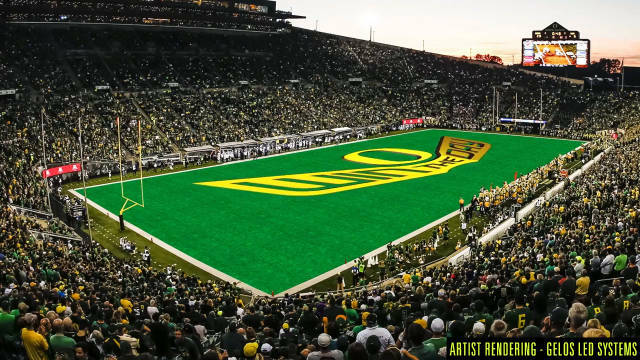 Image via Bleacher Report. Mississippi State head coach Dan Mullen has chimed in about the NCAA's still-controversial decision to ban member schools from holding off-campus satellite camps similar to ones held by Michigan in 2015. Kansas City Royals Mascot Recreates Opening Scene Of "The Lion King" With Less-Than-Enthused Young Fan. Here's your nightmare pic of the day. 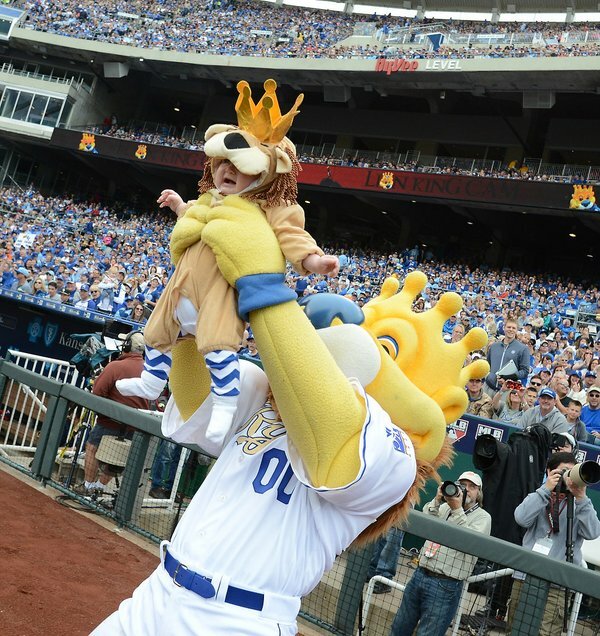 Sluggerrr, the deformed Kansas City Royals' mascot, found a young Royals' fan dressed up like him in the stands. I'll just assume it's something the parents did without the kid have anything to say about it. 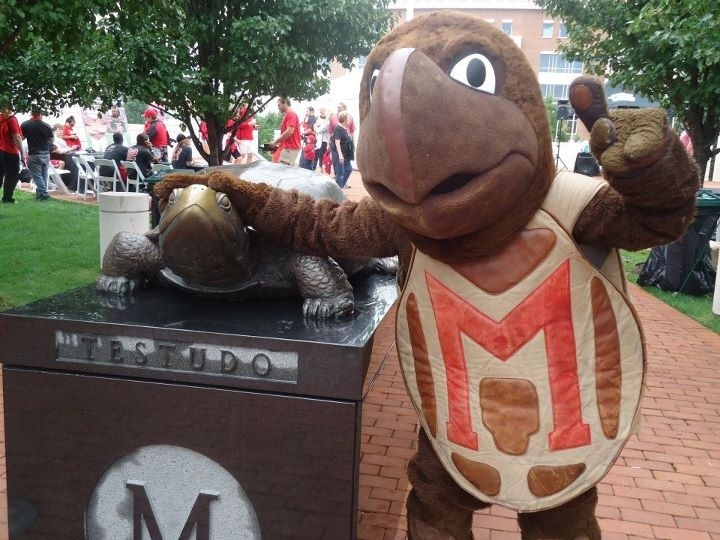 Maryland Adds 4-Star QB Kasim Hill And 3-Star ATH Ayinde Eley To Its 2017 Recruiting Class. Maryland landed two prospects for its 2017 recruiting class Baltimore, Maryland high school junior quarterback Kasim Hill, and Olney, Maryland. 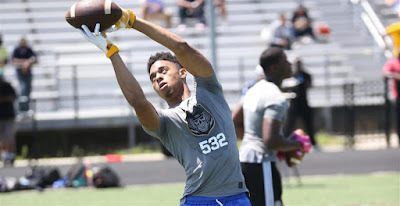 high school junior outside linebacker/wide receiver Ayinde Eley committed to the Terrapins within minutes of each other on Saturday. Jim Harbaugh at Alabama satellite camp in Jun, 2015. Image via @bfidelman. 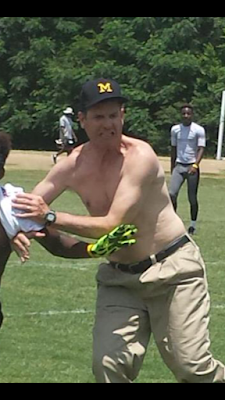 The NCAA just ruined Jim Harbaugh's day. 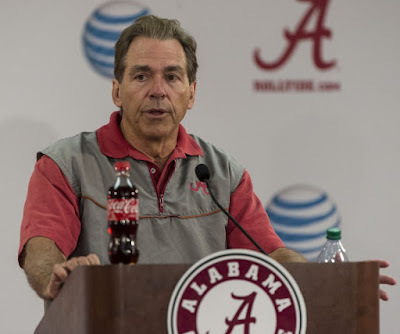 The collegiate governing body has put the kibosh on FBS schools holding out-of-state satellite camps similar to ones held by Michigan last season. Labels: Jim Harbaugh, Michigan, NCAA, satellite camps, That's So Harbaugh! 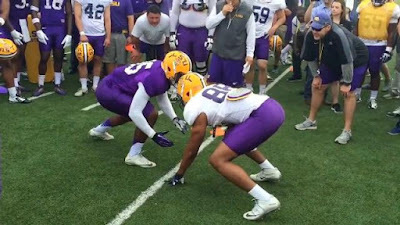 LSU Football "Testifies" In New Spring Practice Hype Video. LSU spring practice. 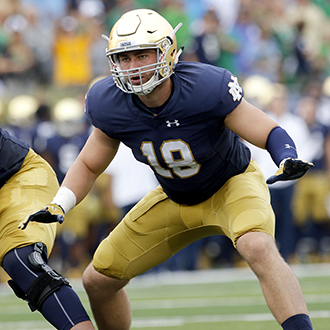 Image via CBS Sports. LSU has produced a new hype video just in time to mark 150 days until the Tigers' September 3 season opener against Wisconsin. Ex-Florida QB Will Grier Transfers To West Virginia. 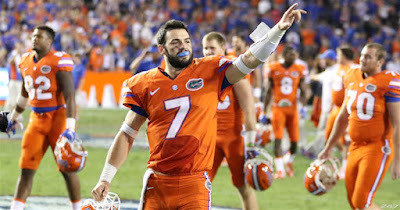 Will Grier. Image via 247Sports. Will Grier is now a Mountaineer. West Virginia has announced that the former Florida quarterback will be transferring to the school. Mark Richt Wants To Wash Bubba Watson's Golf Clubs, Among Other Things. 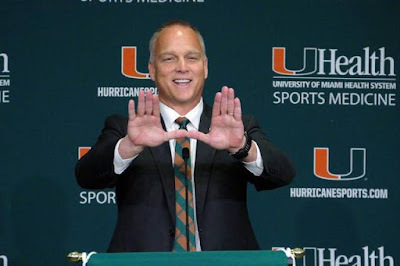 Mark Richt. 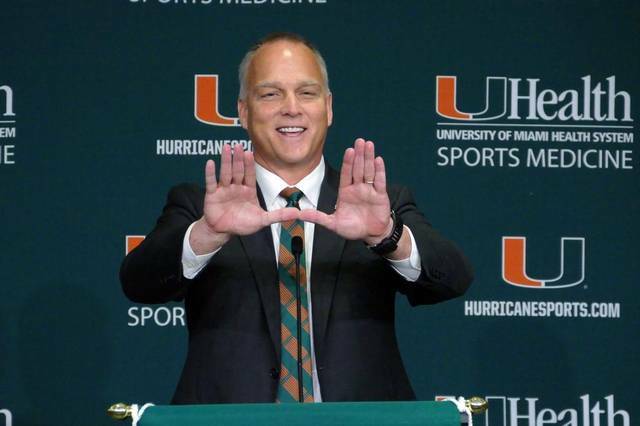 Image via The Miami Herald. Mark Richt's move from Georgia to Miami hasn't changed his feelings for Bubba Watson. The first-year Miami head coach told The Augusta Chronicle what he would do for Watson, the two-time Masters winner and Georgia alum. 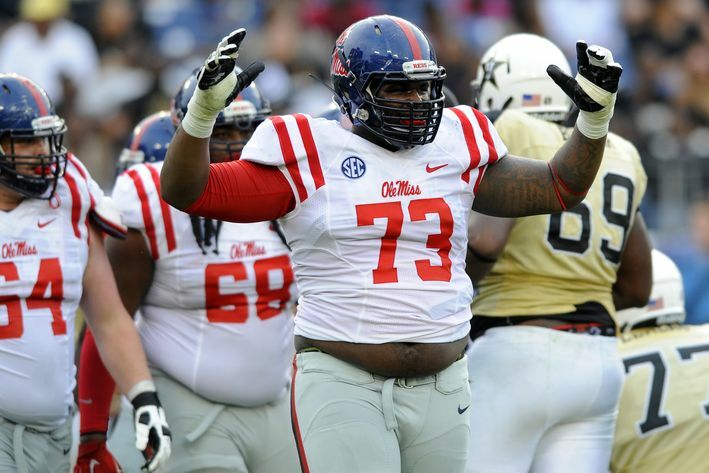 Ole Miss OL Roderick Taylor Tries To Leave Store With Two Bags Of Charcoal He Hadn't Paid For, Arrested On Suspicion Of Shoplifting. Roderick Taylor. 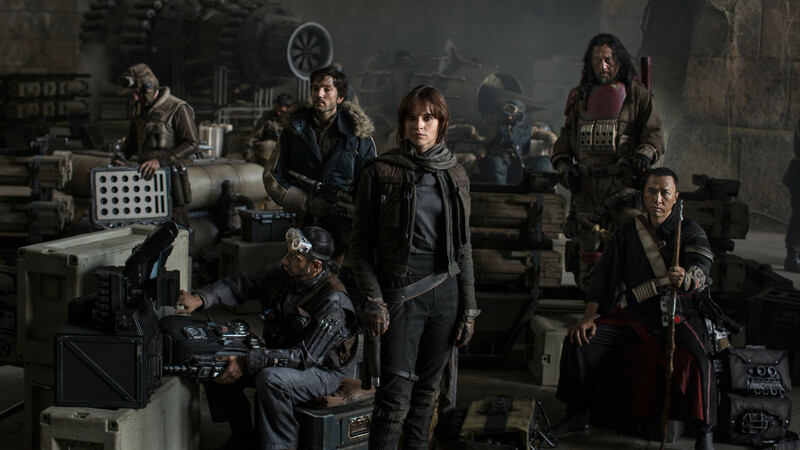 Image via USA Today. Ole Miss offensive lineman Roderick Taylor allegedly tried leaving an unnamed retail establishment with two bags of charcoal without paying for them. This according to The Jackson Clarion-Ledger, which reports Taylor was arrested Sunday on charges of suspicion of shoplifting. Michigan Adds Three-Star DT Prospect Phillip Paea To Its 2017 Recruiting Class. Phillip Paea. Image via The Detroit News. 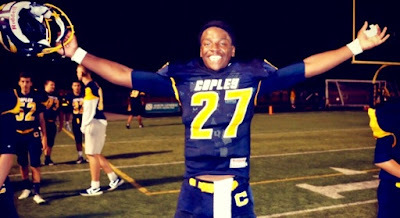 Michigan had added a tenth commitment to its 2017 recruiting class. Berries Springs, MI. 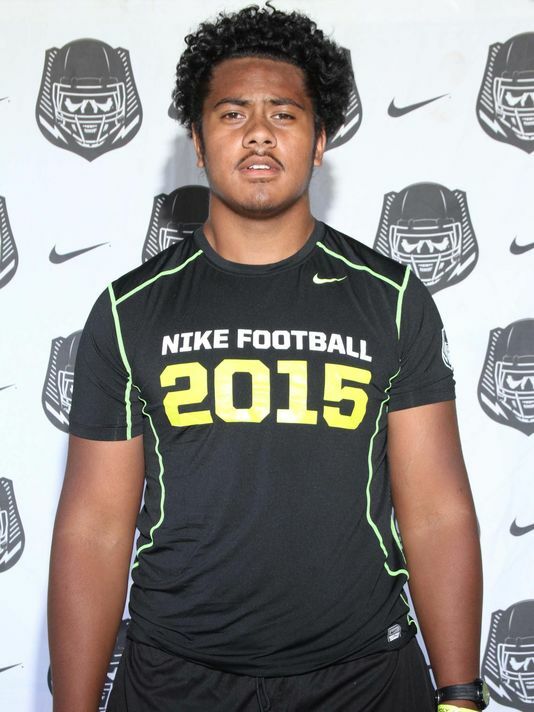 high school junior defensive tackle prospect Phillip Paea committed to the Wildcats on Saturday. It's April Fools' Day. Don't say I didn't warn you.